Everybody's favorite furry four-legged foodies are back! Alfred and Sadie just tried these peanut butter flavored treats and they're big fans. But at this point in their food reviewing career, they're not super picky. 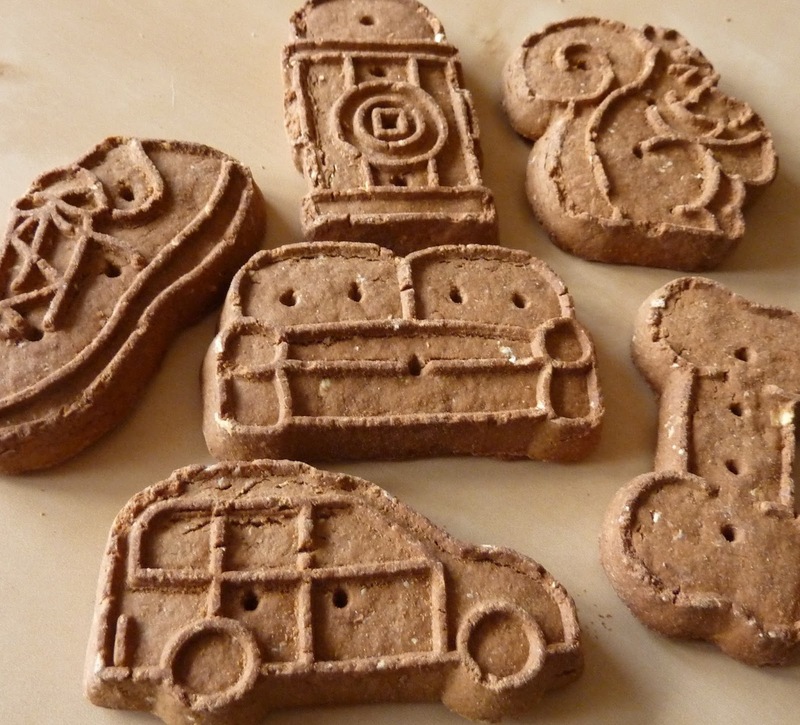 We're pretty sure their final verdict would have been a perfect score, but Sonia and I had to dock a couple of pawprints since the cookie sizes are HUGE for little dogs. The box claims they're for "big & small" dogs, but I'm gonna go ahead and say that if your dogs are as small as ours, you'll probably wanna break up those cookies for Fido, unless he has a REALLY big mouth. 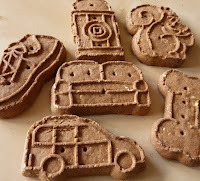 They're shaped like bones, fire hydrants, shoes, squirrels, couches, and cars, because dogs LOVE biscuits shaped like things they enjoy chasing, chewing up, or peeing on. But I'll stop rambling there...because I ramble some more in the video. Click here to read the dog treat ingredients list. Also check out Alfie and Sadie's review of TJ's Chicken Recipe Jerky Sticks. Bottom line: 8 out of 10 Pawprints. Oh my goodness! My little dog just tried these and LOVED them!! It was a gift from a friend. We don't live near a Trader Joe's so I will be going online to order. You are right about them being too big though! Understatement!! i have a rescue Chilier (Cavalier King Charles Spaniel Chihuahua Hybrid), and she is tiny. She is also finicky. I definitely give this a huge thumbs up!! Glad your dog liked them too! I've never heard of a Chilier before, but I bet she's really cute! A daily bedtime treat for my pups, Betsy and Duncan (Beagle & Aussie) They adore them! !